Submitted by webmaster on Sat, 14/05/2016 - 12:49. 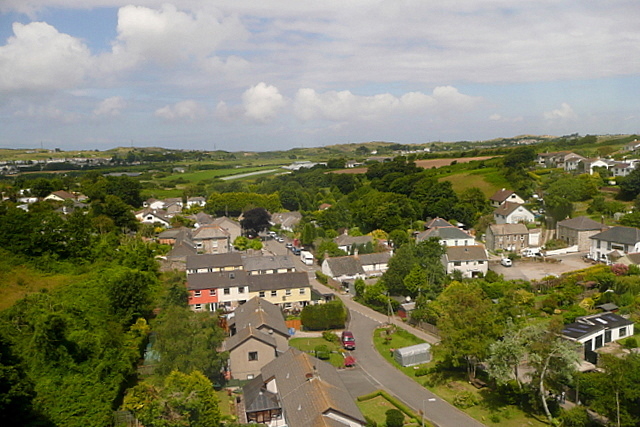 A village just outside Hayle, but retaining its own separate identity. It is crossed to the south by a high railway viaduct. This photo was taken from the 1158 Penzance to London Paddington train, having left Hayle at 1214.